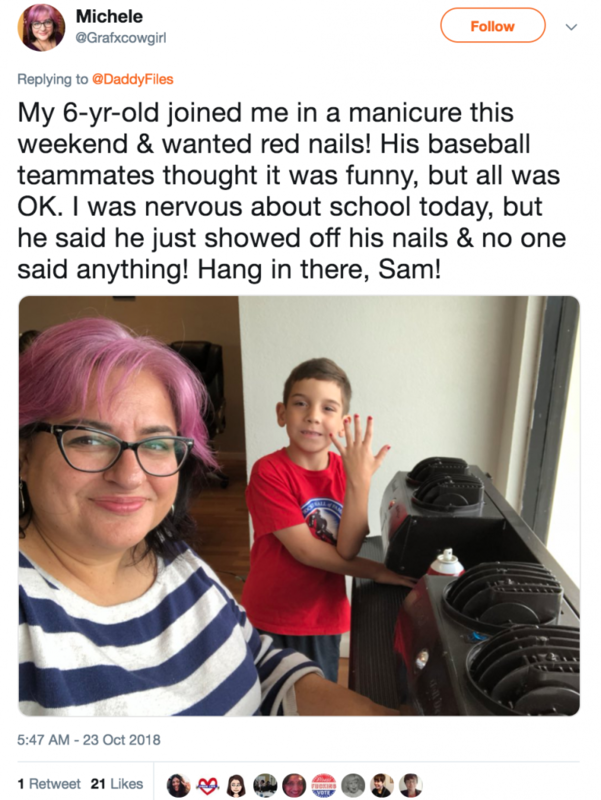 Father-of-three Aaron Gouveia is going viral for his recent Twitter thread concerning his middle son, five-year-old Sam. 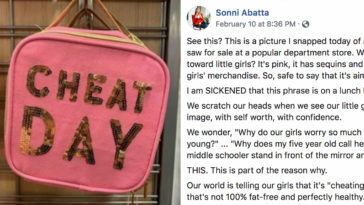 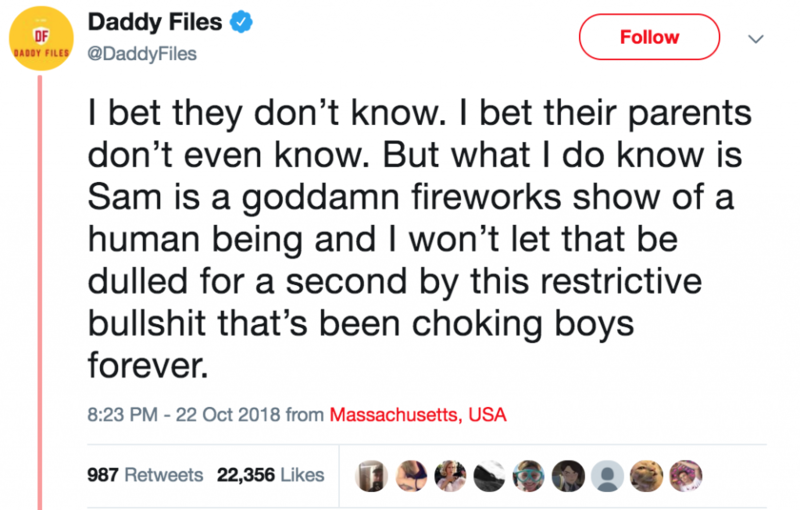 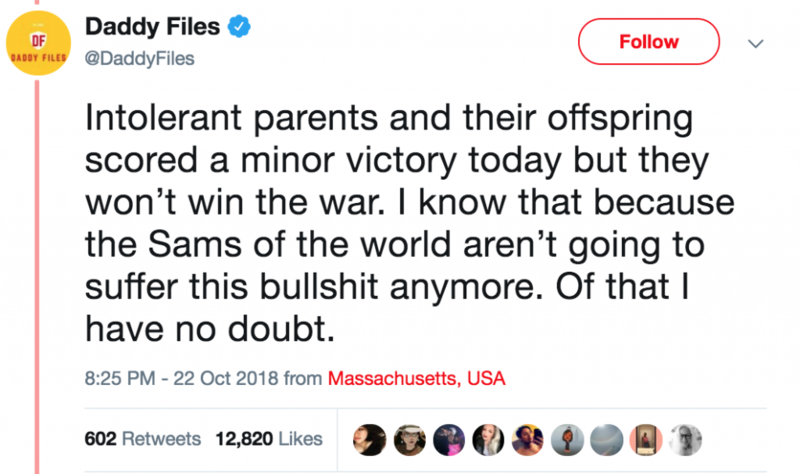 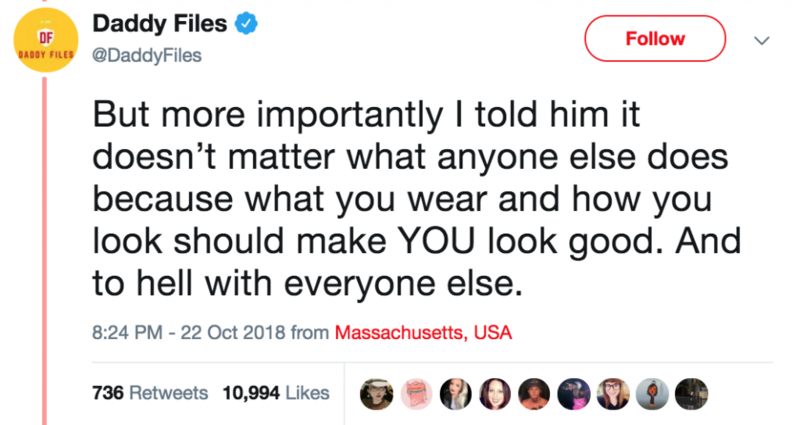 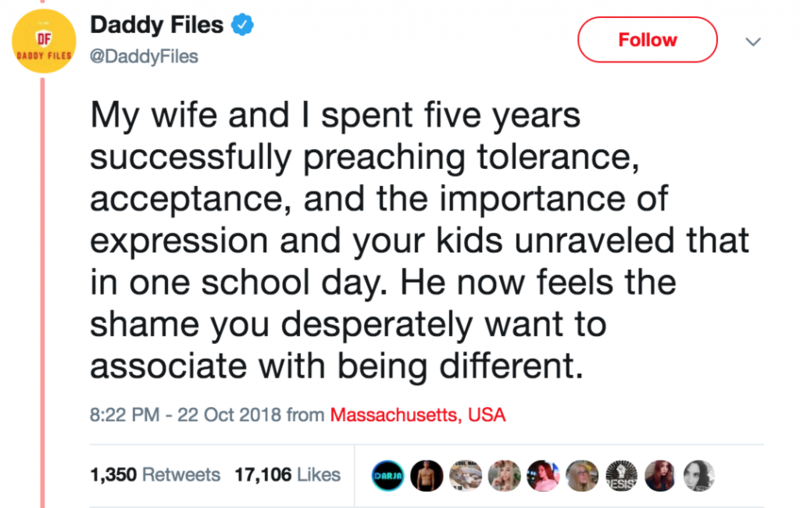 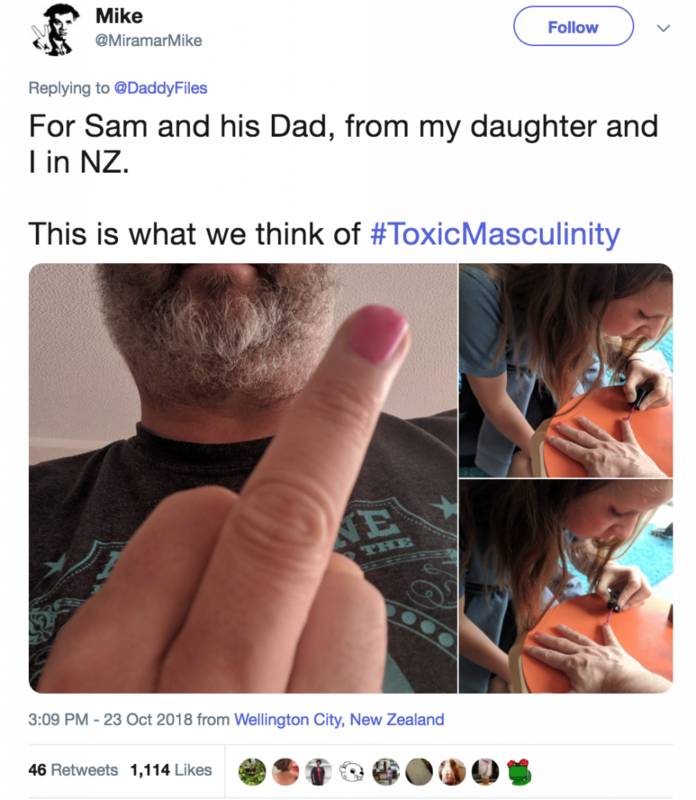 Gouveia, who works in PR but runs a high-traffic parenting blog called ‘Daddy Files,’ expressed his sorrow and anger with a situation at Sam’s school that left his son crying, a situation formed completely as a result of “toxic masculinity bullsh*t” and grossly unnecessary gender norms. 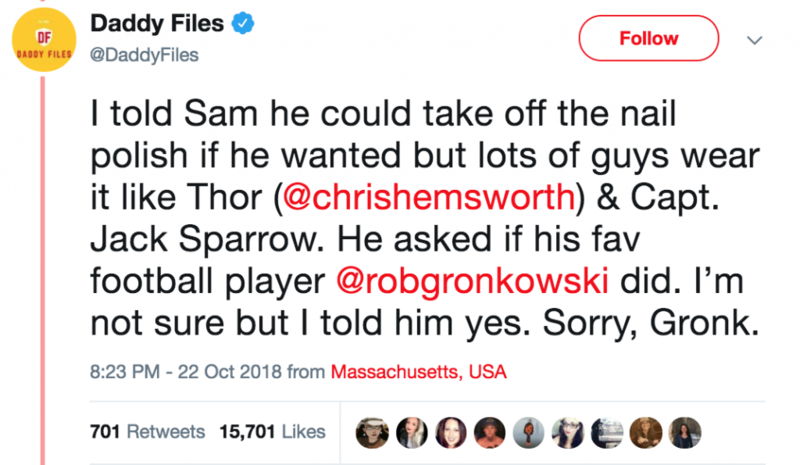 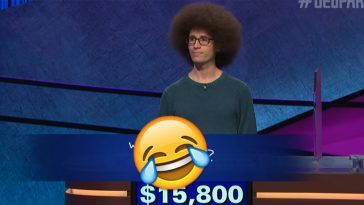 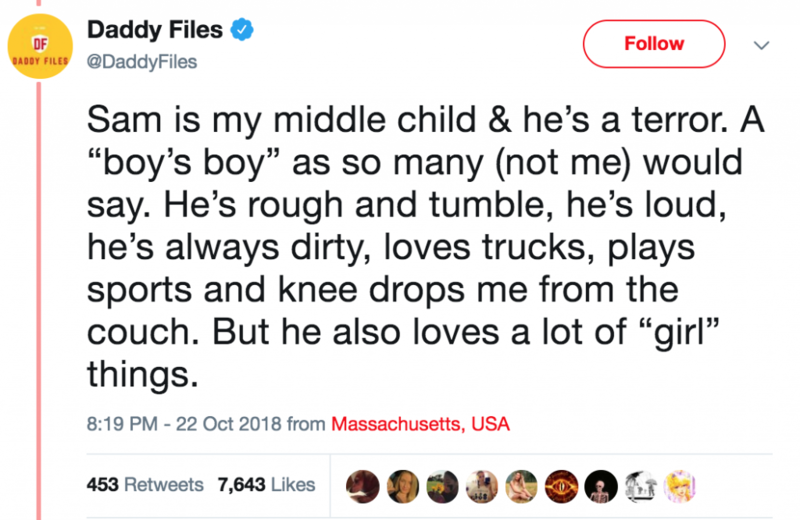 He kicks off the thread by explaining that Sam is what most people would call a “boy’s boy,” in that he’s dirty, truck-loving, and loves to play sports. 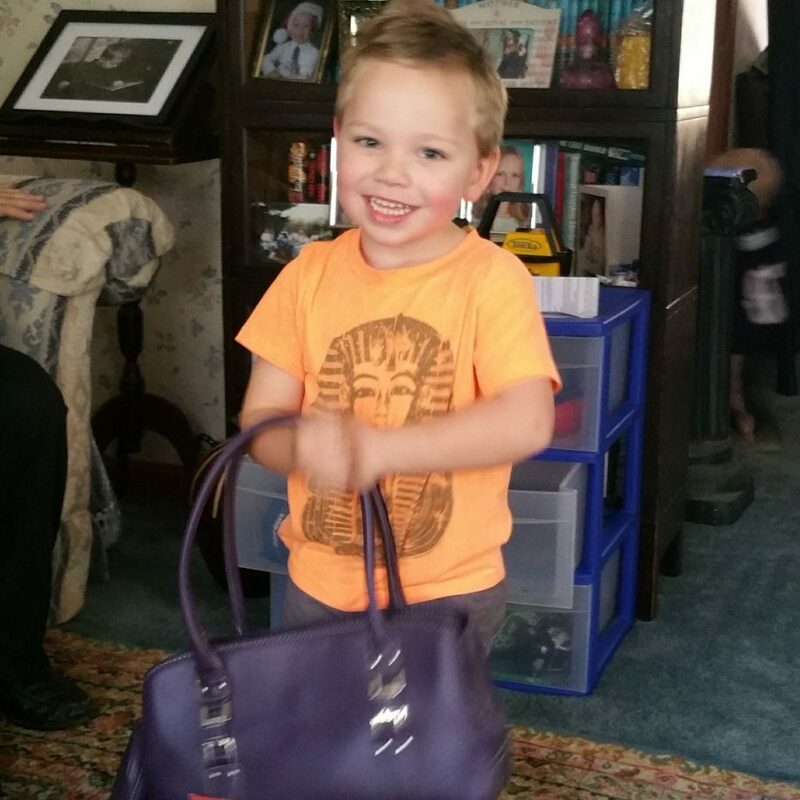 The five-year-old also likes a lot of “girls things,” though, Gouveia writes. 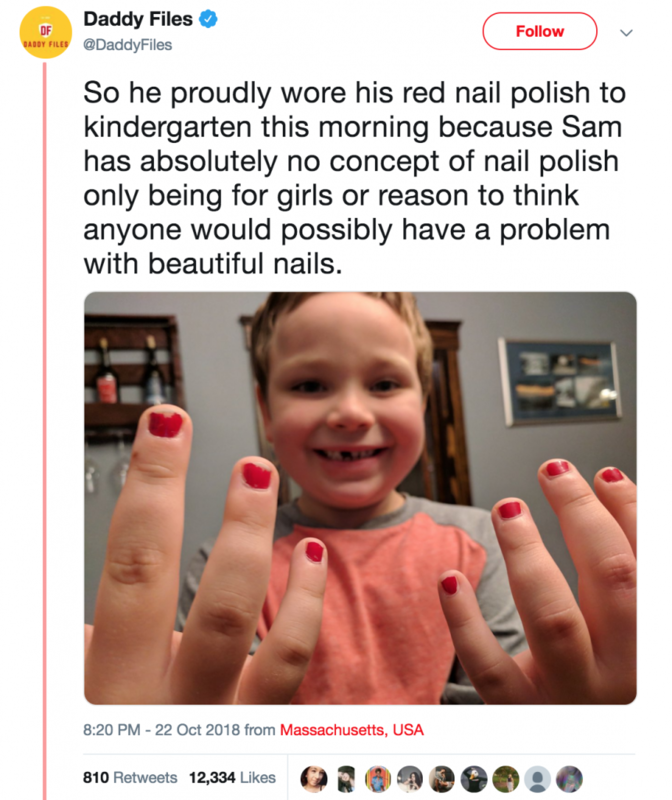 For example, Sam likes to carry purses and enjoys painting his nails bright colors—a habit that was never an issue for the five-year-old. 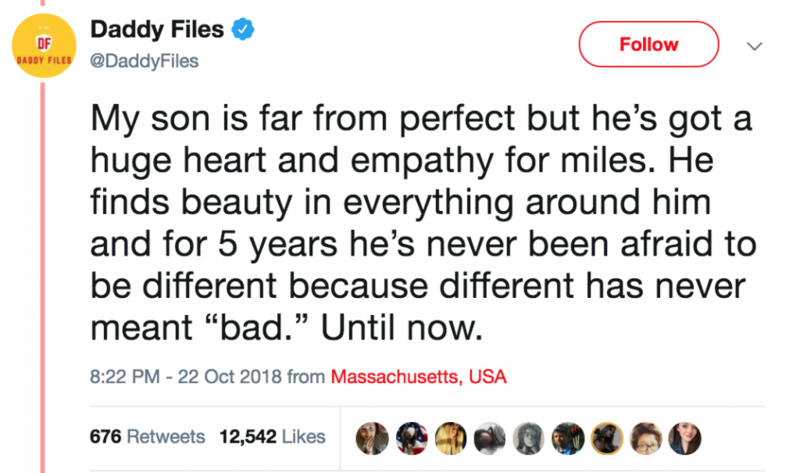 Until it was. 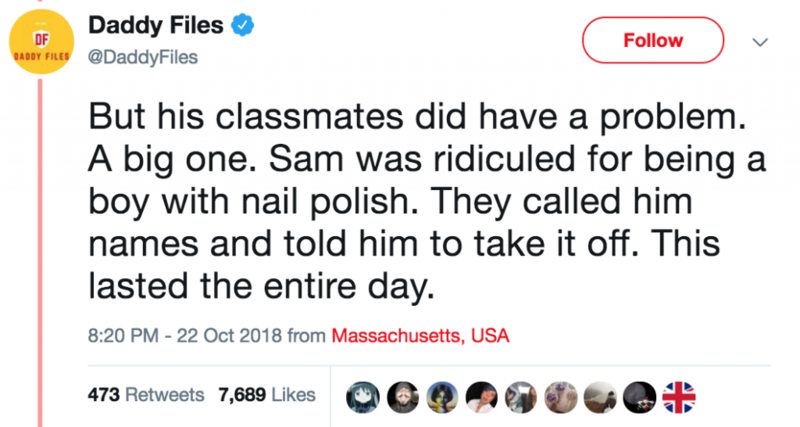 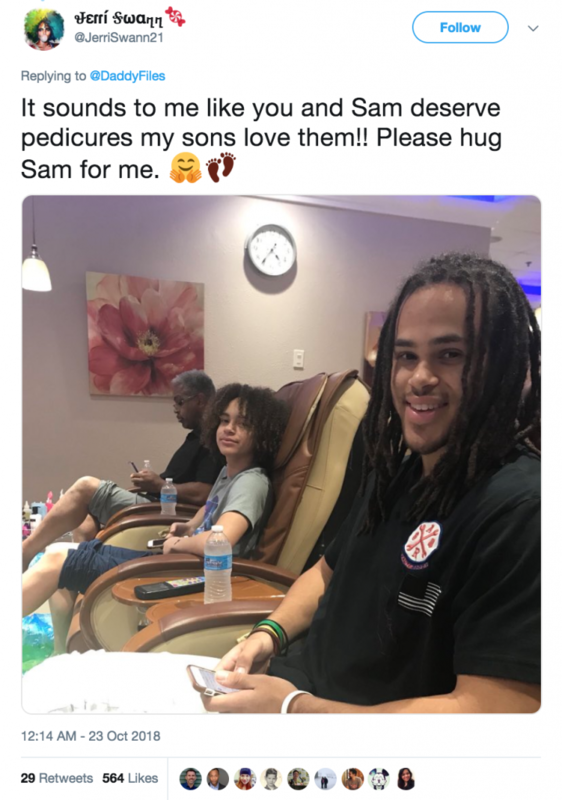 Gouveia writes how last Tuesday, Sam wore his nails but came home in tears after he was bullied for it the entire day. 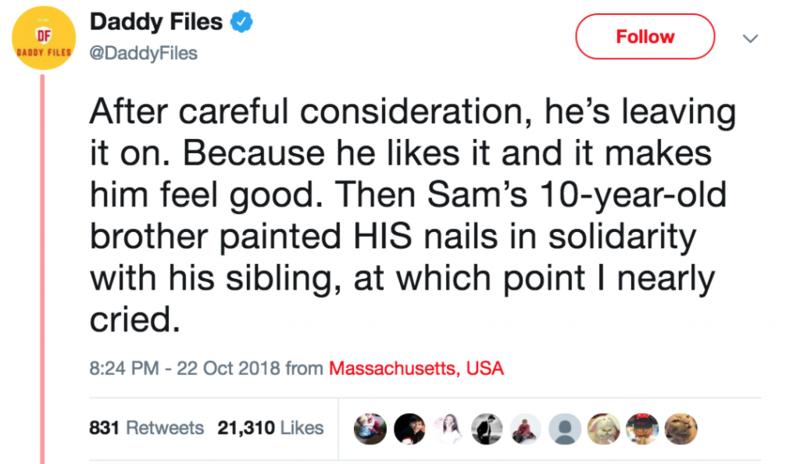 He explains how heart-broken he was at Sam’s tears and his desire to take the nail polish off so that kids would stop making fun of him. 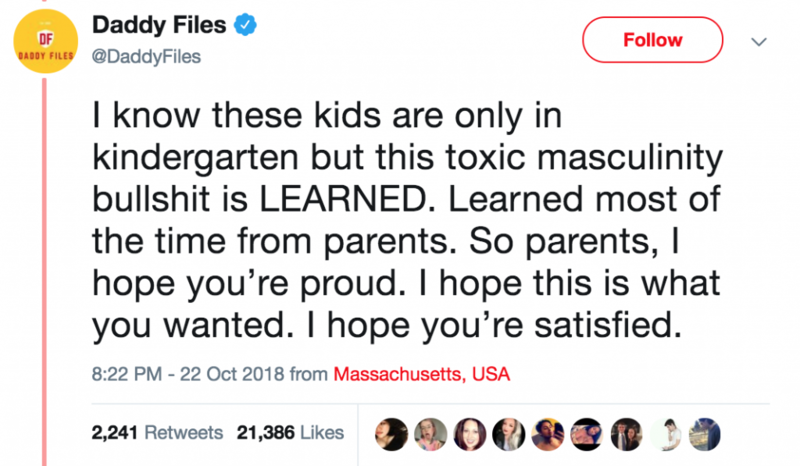 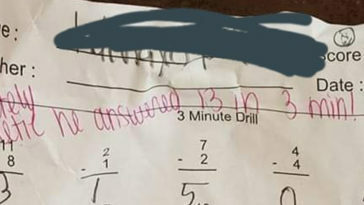 Gouveia goes on to write, considering this bullying took place in kindergarten, toxic masculinity is simply a learned behavior taught and enforced by parents. 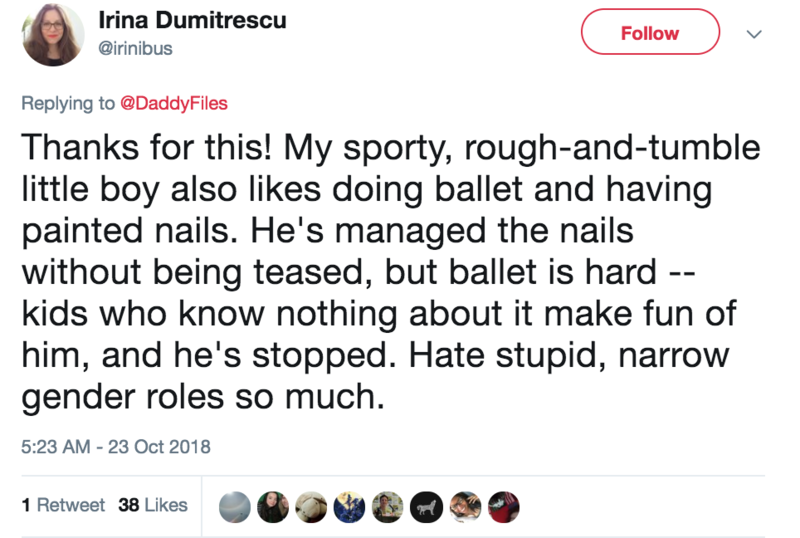 But Gouveia didn’t just take off Sam’s polish and end it at that. 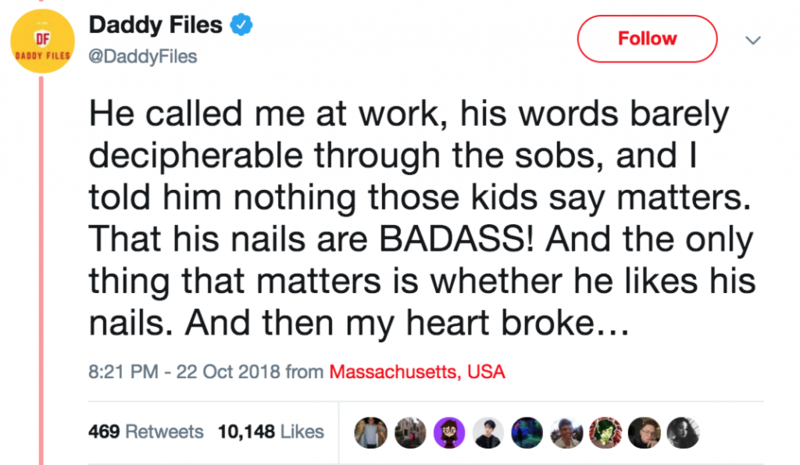 Instead, he explained to his son why the boy need not care about how other people feel about him—he only needs to worry about how he feels about himself. 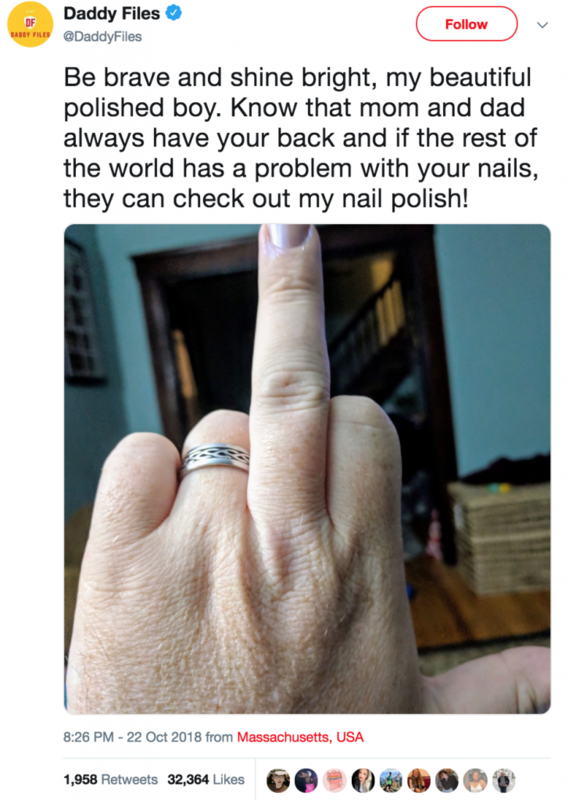 Gouveia added that plenty of men wear nail polish, including Chris Hemsworth and Captain Jack Sparrow. 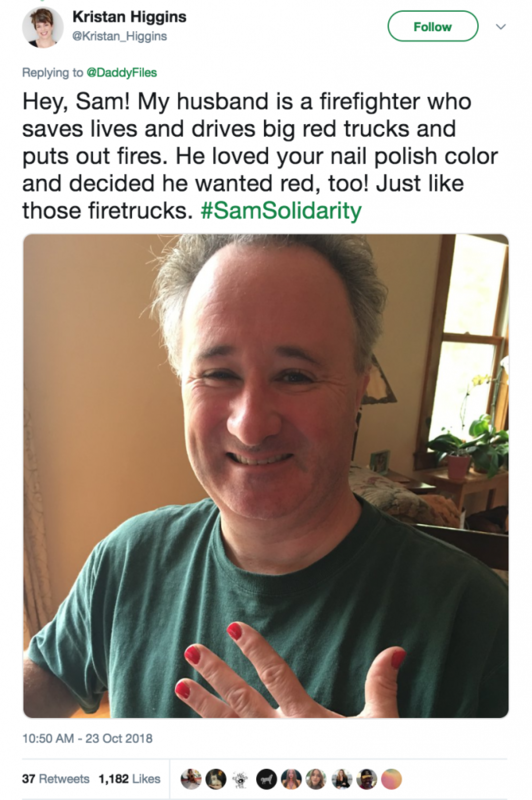 Then, Sam’s older brother painted his nails in solidarity, moving Gouveia to paint his own nails as well. 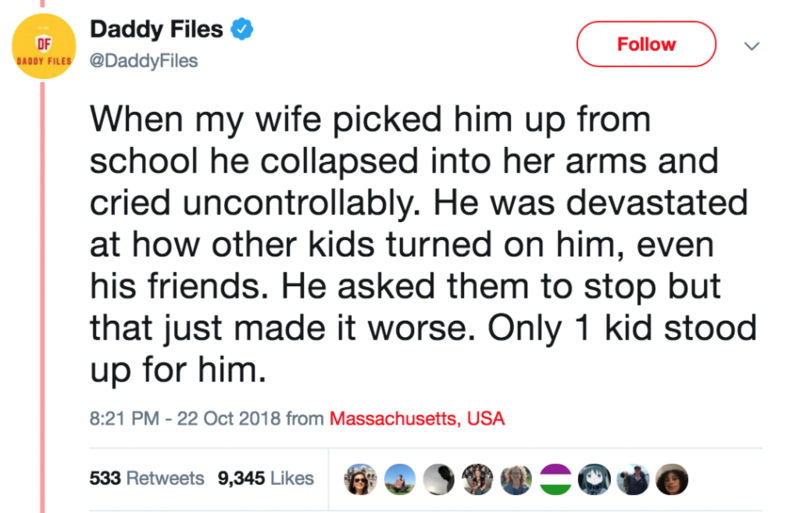 Gouveia’s thread racked up over 33,000 retweets and nearly twice as many likes in just several days’ time. 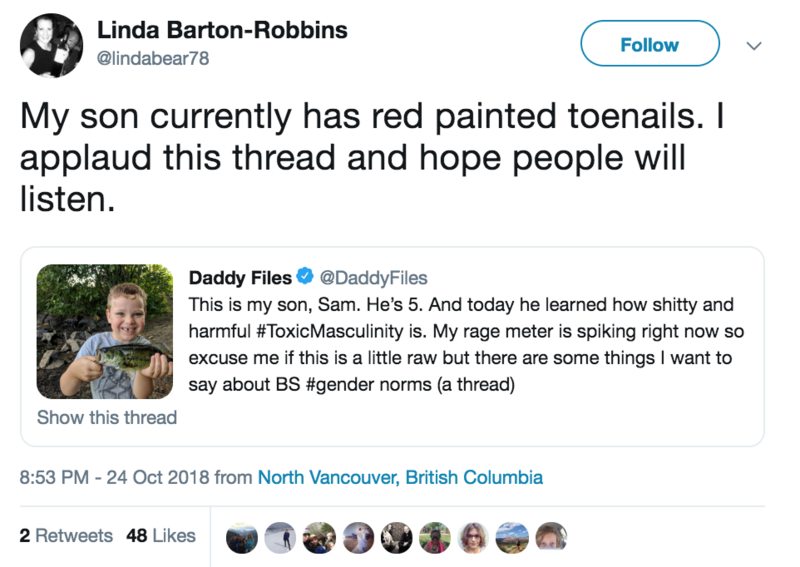 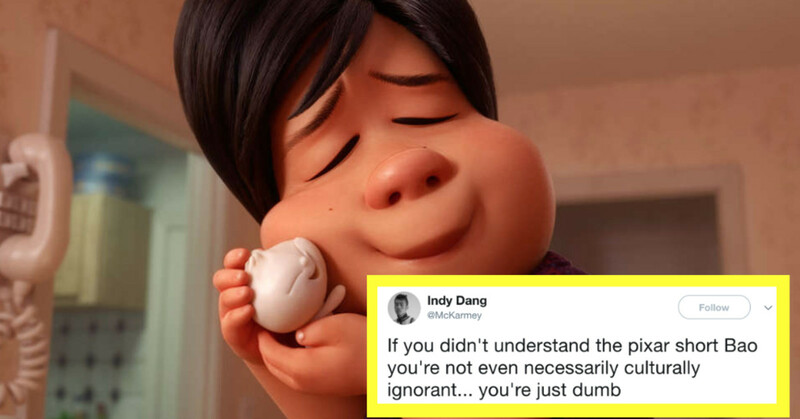 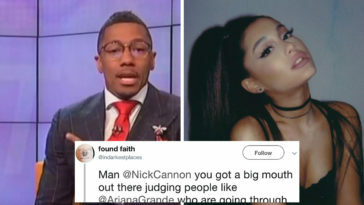 It spurred a response from many other parents with children who had also encountered bullying as a result of toxic masculinity and society’s narrow definition of “gender-appropriate” behavior. 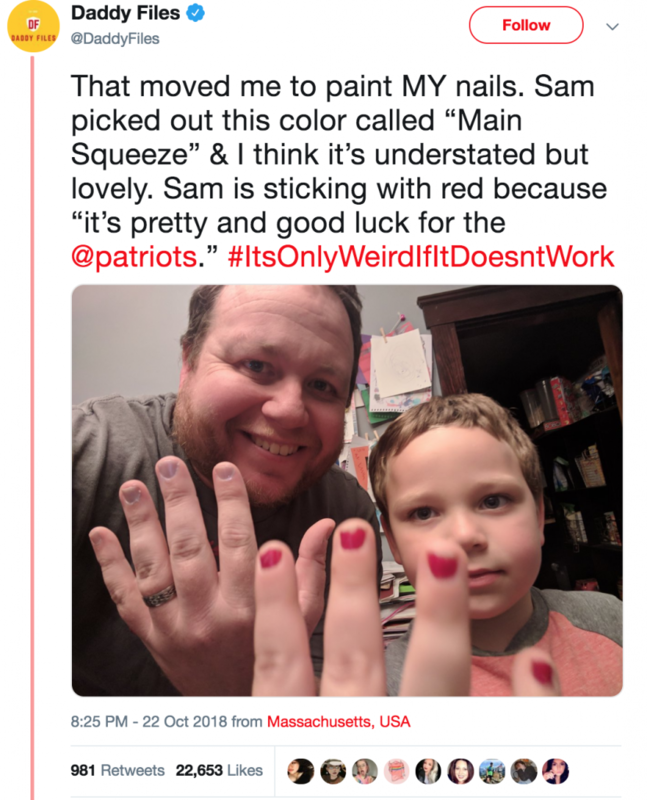 People around the world shared photos of their own kids with painted nails. 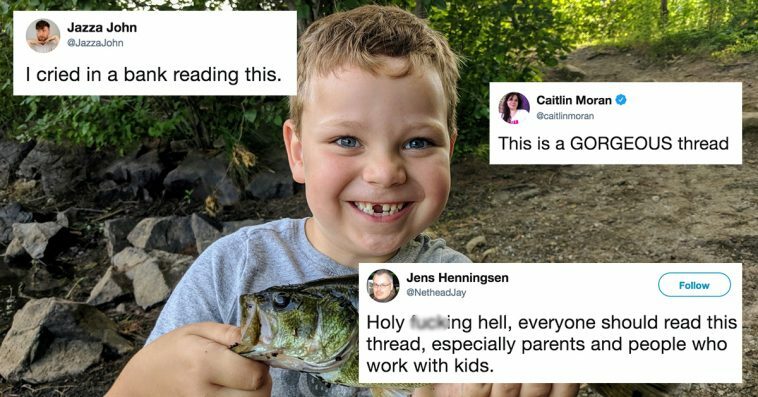 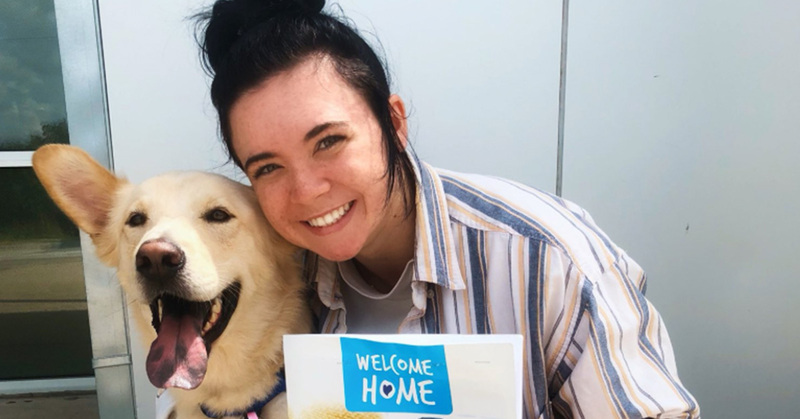 According to BuzzFeed News, Sam received an overwhelming amount of love and support after Gouveia’s thread went viral. 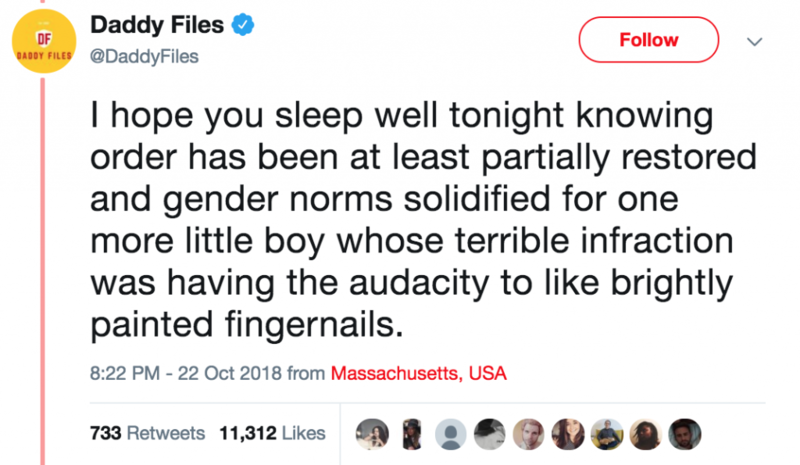 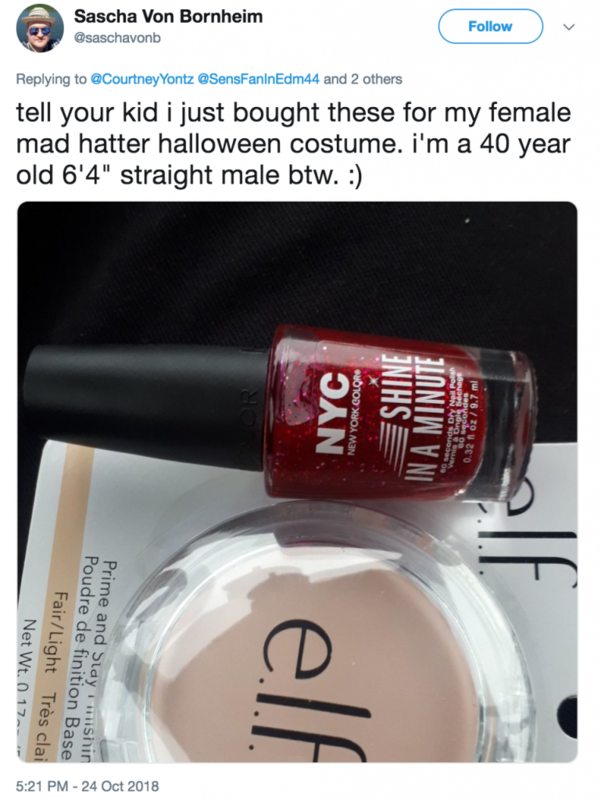 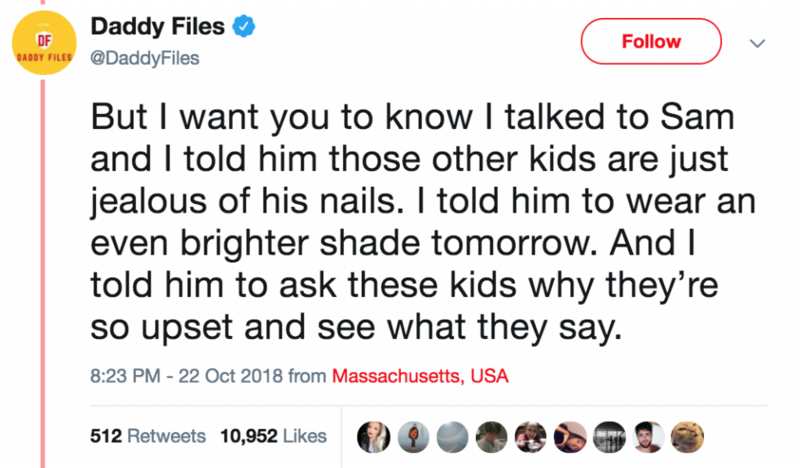 “When I read those supportive tweets to him this morning and showed him pictures of men and boys with nail polish in support of him, it gave him the confidence to go to school with his nails painted this morning for the second day in a row,” he said.